Meet Powerspin The worlds Easiest "Pick up and Use" Exercise device. 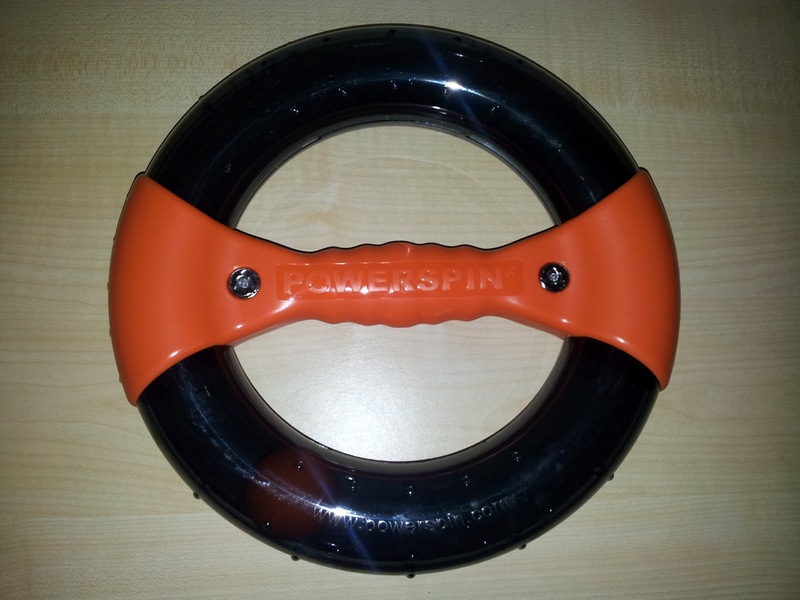 Powerspin is the complete arm workout device which targets the biceps, triceps, forearms and wrists. Used for just minutes each day, "bingo wings" don’t stand a chance! It›s unique non-impact motion also helps tone the shoulders, chest, abs and glutes. Powerspin fits seamlessly into your lifestyle - choose a full 10 minute workout or simply pick it up several times throughout the day and spin for 30-60 seconds, you’ll feel the burn every time! No need to change into your gym gear either; you can Powerspin while watching TV, cooking the dinner, reading a book or simply whenever you can fit in a quick one-minute exercise session - it all adds up to making your arms and abs stronger, leaner, firmer... more toned. 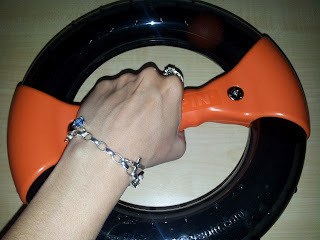 Powerspin has wide ranging appeal - you›ll just as likely be fighting to get it back from your husband as you will your kids - everyone loves the simple, addictive feeling they get trying to spin the ball around the tube - exercise has never been this much fun! Small, neat and compact, you can take Powerspin with you anywhere so there’ll never be an excuse for not having beautifully toned arms and abs where ever in the world you might find yourself! It's a very simple device and so easy to use. You simply hold it with a firm grip by placing your hand on the centre bar like so. 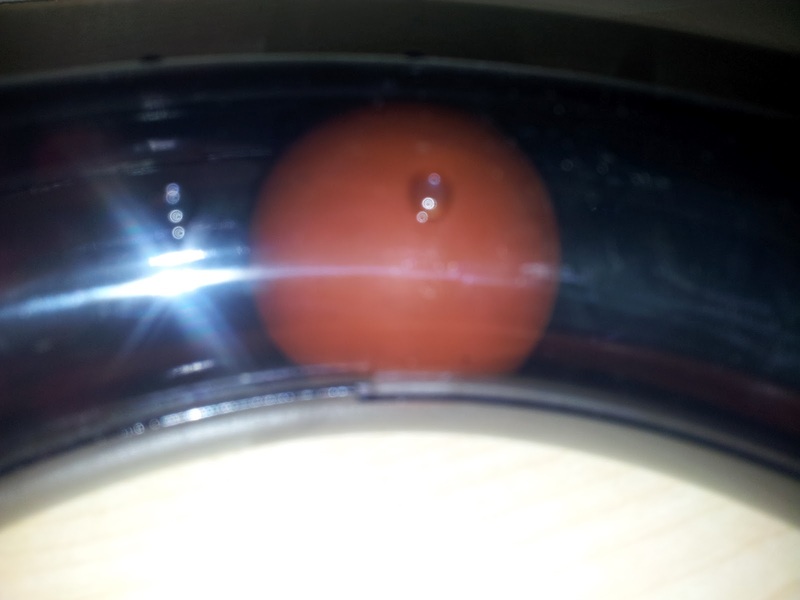 You then gently rotate the Powerspin device so that the ball which is contained inside rolls around in a smooth motion. It's very easy to get a good rhythm going and you definitely can feel the burn in your upper arms. It really does have a high impact and makes you feel like you're really improving your muscle tone. There are so many easy Exercise's that you can do with this Powerspin. Each different exercise combats a different part of the arm or abs. I tended to stick to the simple Forearm Frenzy one which was the easiest for me. My arms aren't really big but I was happy to use this device to tone them up a bit. The Powespin costs just £19.99 which I personally think is a great price. I have tried so many exercise devices before thinking they look easy and I can do that but then not really bothered. The Powerspin is different, there's no setting anything up or messing about with DVDs. Its just pick it up and off you go. It's so simple yet really works. My arms feel great, I will definitely continue to use mine too. I can do it whilst watching TV or even whilst watching my kids in the garden. Check out Powerspin for yourself.